The Top Ten winners of the Construction Enquirer awards can now be revealed after more than 15,000 votes were cast by the industry. Being voted for by your peers makes an Enquirer Top Ten place a unique badge of honour – awarded to construction companies by construction people. The industry has spoken and chosen its best places to work, favourite firms to do business with and best sites to work on. Winning contractors, clients, consultants and suppliers have been backed in their thousands by staff and their supply chains. Now all sides of the industry will come together to celebrate their success at the awards night in Birmingham on October 9 alongside UK Construction Week. Tables are now on sale for the event which is the perfect chance to say thank you to the staff and suppliers who have helped win these prizes. Enquirer editor Aaron Morby said: “We’ve had more votes than ever this year – 15,000 is an incredible number. “Letting the industry decide winners is how awards should be done and only the Enquirer can deliver this level of response from construction companies. 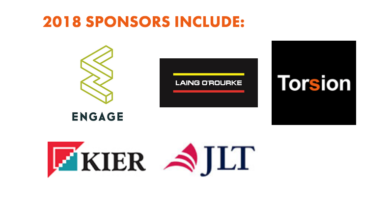 The current roll of sponsors includes Laing O’Rourke, Kier, Torsion, Engage and JLT as a host of other firms look to become part of an event engaging the entire industry. 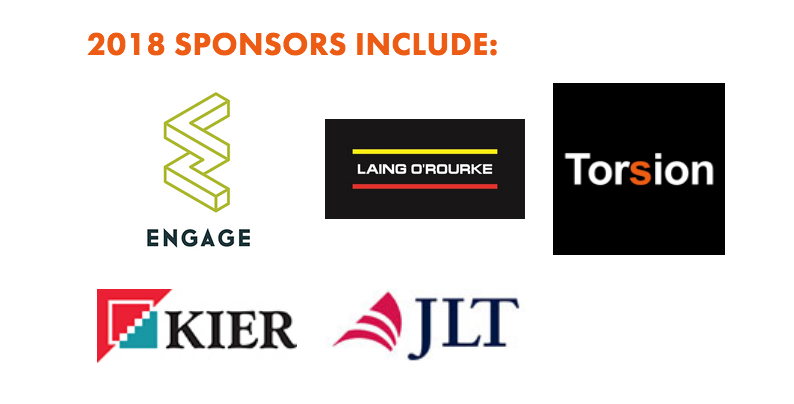 Further sponsorship opportunities are available to associate your brand with the awards. Category sponsorship packages cost £7,500 including a table of ten on the night. Tickets for the awards night cost £275 or £2,750 for a table of ten. The evening will be hosted by everyone’s favourite architect George Clarke with comedy from king of the one-liners Gary Delaney. The company who wins the most votes in each category will also be revealed on the awards night.